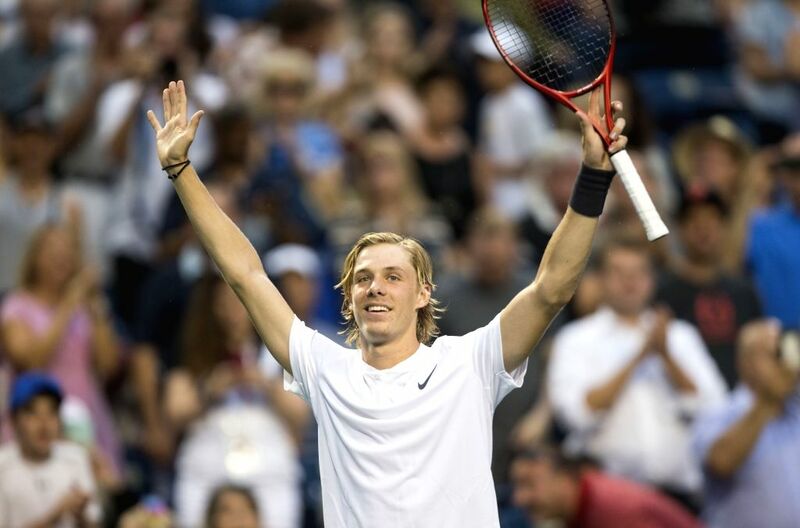 TORONTO, Aug. 8, 2018 - Denis Shapovalov of Canada celebrates victory after the first round of men's singles match against Jeremy Chardy of France at the 2018 Rogers Cup in Toronto, Canada, Aug. 7, 2018. Denis Shapovalov of Canada won 2-0. 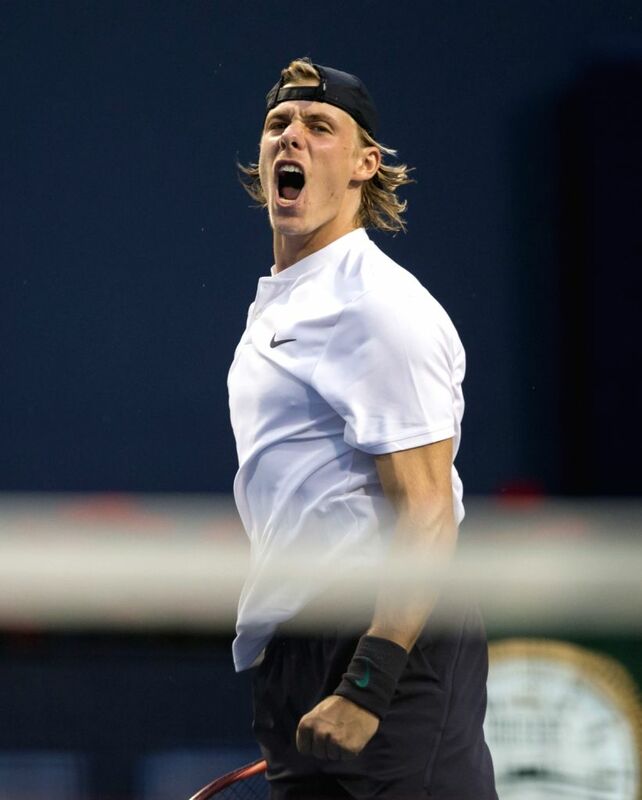 Denis Shapovalov of Canada celebrates victory after the first round of men's singles match against Jeremy Chardy of France at the 2018 Rogers Cup in Toronto, Canada, Aug. 7, 2018. Denis Shapovalov won 2-0. 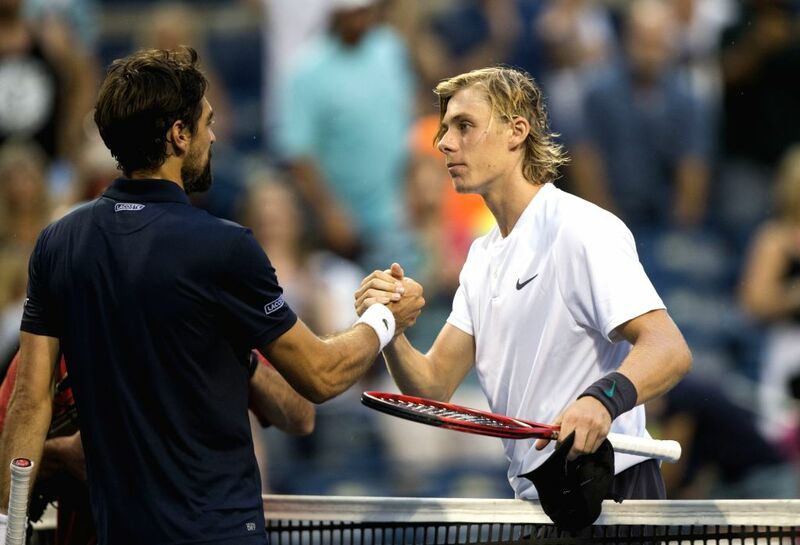 Denis Shapovalov (R) of Canada shakes hands with Jeremy Chardy of France after their first round of men's singles match at the 2018 Rogers Cup in Toronto, Canada, Aug. 7, 2018. Denis Shapovalov won 2-0. 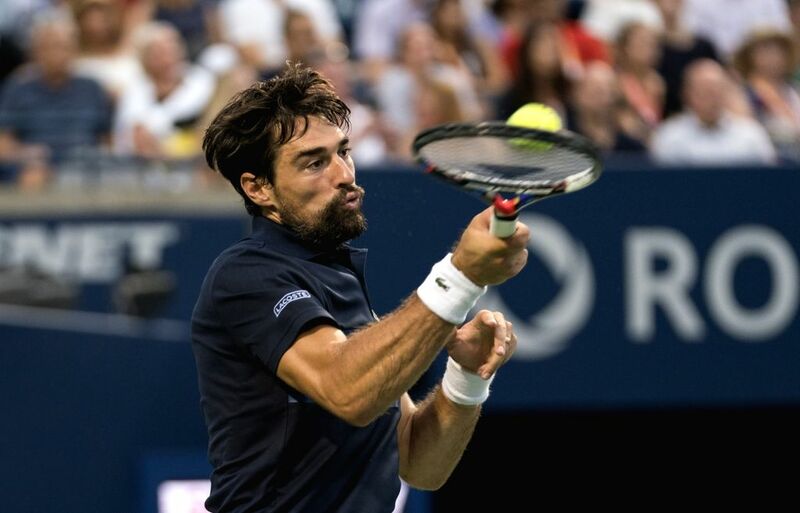 Jeremy Chardy of France hits a return during the first round of men's singles match against Denis Shapovalov of Canada at the 2018 Rogers Cup in Toronto, Canada, Aug. 7, 2018. 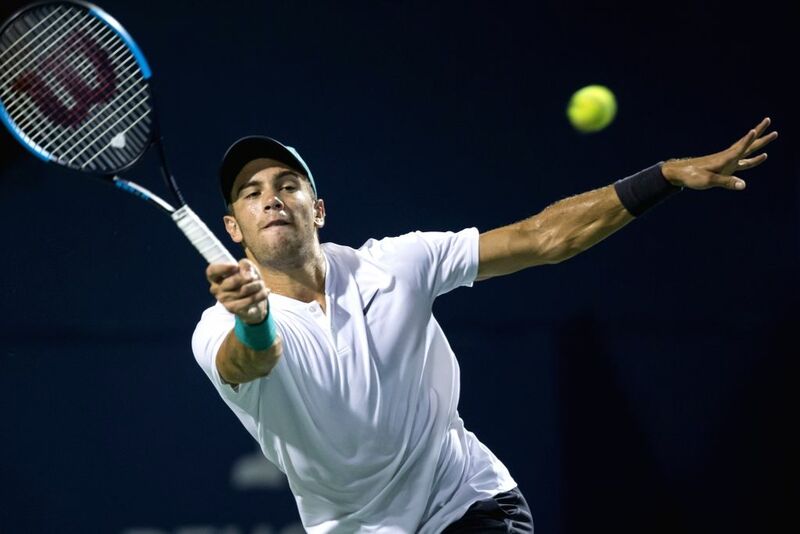 Borna Coric of Croatia hits a return during the second round of men's singles match against Marin Cilic of Croatia at the 2018 Rogers Cup in Toronto, Canada, Aug. 7, 2018. Marin Cilic won 2-0. 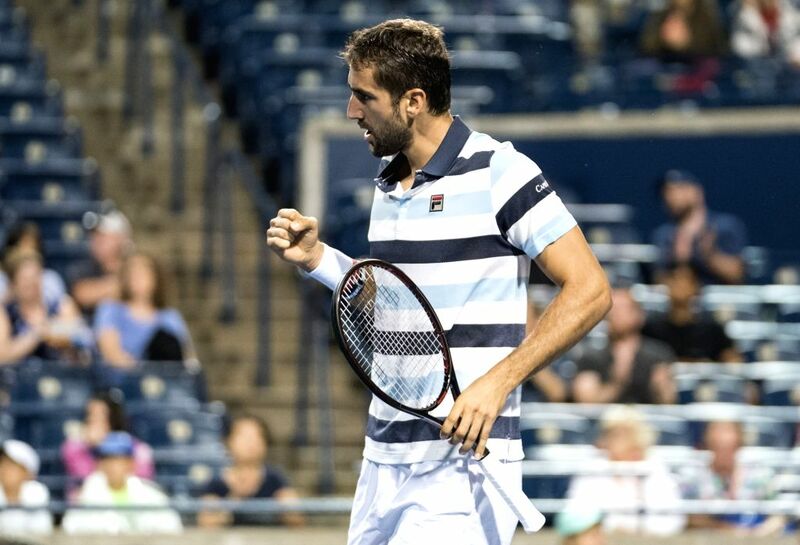 Marin Cilic of Croatia celebrates scoring during the second round of men's singles match against Borna Coric of Croatia at the 2018 Rogers Cup in Toronto, Canada, Aug. 7, 2018. Marin Cilic won 2-0.